Home to Lord Parshurama, Chiplun is undoubtedly blessed with a strong cultural background. Due to this, most people over here are self-motivated and strongheaded. As one of the famous industrial towns, several renowned pharmaceutical and chemical industries have their grounds here. Chiplun happens to be one of the prevalent stopovers for people travelling from Mumbai to Goa. Located in the mind-blowing Konkan region and sandwiched between western coast and interiors of Maharashtra, it dwells on the banks of the river Vashishti. Your trip to Chiplun is incomplete without kokum sherbet and Ratnagiri Alphonso mangoes. Due to the popularity of these items, the city is the originator of innumerable exporters. Apart from this, Chiplun attracts lot of tourists' due to its historic architecture. In addition to Mumbai, it also has proximity to some big cities like Pune and Kolhapur. All in all, this destination is a perfect blend of religion, history and nature. You have more reasons to be a Chiplunkar now. Summers are extremely hot in Chiplun. Hence many people avoid coming here during summers. But you can certainly enjoy the archaic Ratnagiri Haapoos (Alphonso mangoes). Best time to visit is during monsoons. With the advent of rains, it is not only a relief from severe heat but also marks the beginning of a pleasing atmosphere and quaint surroundings. Tourists normally can opt for treks, sightseeing, etc. during this season. Waterfalls here and there make the weather and place all the more striking. Temperatures during winters fall between 12-30 degrees Celsius. Visiting during early winters (October-November) is recommended. How To Get To Chiplun? Although Route 2 has a shorter distance of 248 km, Route 1 is recommended, since it is the fastest of all the three routes. By opting Route 1, you will reach your destination in 5 h 30 m. The time taken by Route 2 and 3 will be about 6 h and 7 h respectively. Take a look at the short stops on the way from Mumbai to Chiplun. Home to Tata Institute of Social Sciences, Chembur has sprawling South Indian food joints. Start early and hog your breakfast at one of these South Indian restaurants. With lush green atmosphere all around, this place is sure to make you stay back for more. The Tatas have left no stone unturned in keeping this place close to nature and its roots. It is recommended to start early to avoid the heavy traffic in and around this area. Ayyappa Temple is a must see! About 70 km from Chembur, lies the industrial city of Khopoli which is in Khalapur Taluka of Raigad district. It is home to India's first privately owned hydroelectric power station by Tatas. Many companies are setting up their factory/plants here. There are a good number of educational institutes here. If you have more time in hand, then let go, loosen up and revisit your childhood fun by spending time at the Imagica Theme Park. Synonymous to white water river rafting, Kolad is an upcoming destination for other heart-pouncing adventure activities as well. Located on the banks of one of the fastest flowing rivers, Kundalika, Kolad not just offers picturesque views but also various attractions like forts, waterfalls and dams making it a perfect weekend destination. It is about 65 km from Khopoli. As mentioned above, if you have enough time in hand, this place is worth the stay. Kashedi is a small serene village amidst the woods in Ratnagiri district of Maharashtra. It lies about 85 km from Kolad. Kashedi Ghat is one of the deadliest ghats. The Poladpur - Khed stretch is quite famous. Avoid taking this road after evenings, since numerous localities, daily travellers and other visitors have claimed this road to be a haunted one! About 57 km from Kashedi village, begins the marvel city of Chiplun. Enjoy the scenic route followed by a historic mix of Hindu and Muslim architecture. The frequency of trains between Mumbai and Igatpuri is quite decent. The travel time is 5-6 hours. Refer this table to get train schedules, timings originating from Mumbai. There are frequent buses scheduled from morning to evening. There are almost 30 bus operators running between Mumbai and Chiplun. The bus fare ranges from INR 350 to INR 900. The bus journey takes about 6-10 hours. 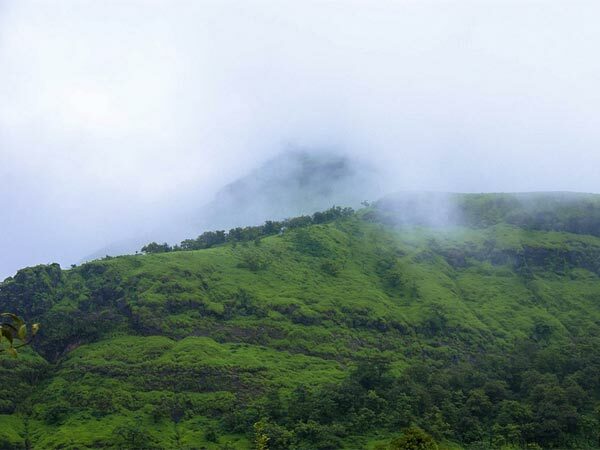 Here are the major attractions in and around Chiplun that can be visited. Whenever you feel nature is calling you, spending sometime by Vashisthi river side is the way to go. There are variety of birds that you can spot here. Not just this, the surreal greenery all over makes it a perfect surrounding to just sit back, relax and admire the nature's beauty. You can stay at resorts that rest on the banks of this river. There is no feeling greater than spending time with yourself and rejuvenating to get back to life with double the zeal and enthusiasm. Beware not to perform any stunts in this river as it has plenty of crocodiles residing in it. However you can opt for a crocodile safari which is definitely a unique experience. Boating can be fun if your boat rider is knowledgeable and introduces you to the culture and history of this place. Unlike what you see on Mumbai beaches, you will be stunned to have an exact opposite view. Secluded, untouched by commercialisation, vast stretches of white sand and splendid surroundings are a few reasons why locals choose this place as their weekend getaway. Guhagar beach is located about 40 km from the city centre of Chiplun. You can opt for homestays here to enjoy the traditional Malvani style food. Sunsets are unquestionably gorgeous! One of the spectacular places, where a person becomes one with Mother Nature. Monsoons are apt to visit this waterfall. Swishing over the rocks, the waterfall is all white in color without any streak of dirt or mud on it. The water is veneer clear. A cup of coffee and some pakodas make it a heavenly treat! Sawatsada waterfalls cannot be missed if you are in Chiplun. Located at the city centre, Parshurama Temple is the reason why Chiplun exists. This 300-year-old temple has an architecture influenced by Hindu, Muslim and Europeon styles. This is the only temple of Lord Parshuram all over India. The calmness of the temple is vibrant enough to attract you and instill the feeling of warmth within your soul and mind. The temple has 3 deities namely Kaal, Parshuram and Kaam. You will also find temples of Renuka Mata (Mother of Lord Parshuram), Ganpati and Gangamata. The temple trustees and authorities take utmost care to keep the temple neat and tidy. Trekkers and adventure enthusiasts are frequently spotted at the site of this temple. It was laid down by Lord Parshuram. The shrine of Shiva in the cave and the sound of water gushing from Dhareshwar waterfall is a sight to experience. You can actually feel and know the reason why god resides in such serene locations. The view from the temple is fantastic as one can witness the Sahyadri Mountain ranges. Do not miss Mahashivratri and Makar Sankranti if you are in Chiplun during this time. Koyna, one of the largest dams was built with an objective to generate hydroelectricity and provide irrigation facilities in the neighbouring regions. This earthquake prone dam is a great place to enjoy the mesmerising views and recreational activities. Fishing, boating, kyaking are few activities that will give you memories for lifetime! Do not forget to carry your cameras. Nehru Garden is located near the dam. It has a nominal entry fee. You will mostly be welcomed by monkeys over here. There is also a well-maintained garden, with a good number of medicinal trees and herbs. If trekking is your thing, then this is the place to be. You can have a look at the flowing river Vashishta along with the cityside. Just be alert while you visit here because there are no proper signboards or directions for reaching the fort. A museum specifically dedicated to Shivaji's life, the pictures and statues inside this museum are self-explanatory. Emotions depicted by the sculptures are worth having a peek at. It is a great spot for history buffs, both adults and children alike.